Washi tape is a type of colorful patterned masking tape that is taking the crafting world by storm. This versatile adhesive makes it easy to add visual interest to any type of craft project. Making your own homemade cleaning products is a great way to save money and reduce the use of chemicals in your home. To store your solutions in style, make your own washi tape decorated glass spray bottle. Clean your vinegar bottle thoroughly. Remove the label, using Goo Gone to get rid of the sticky residue if needed. 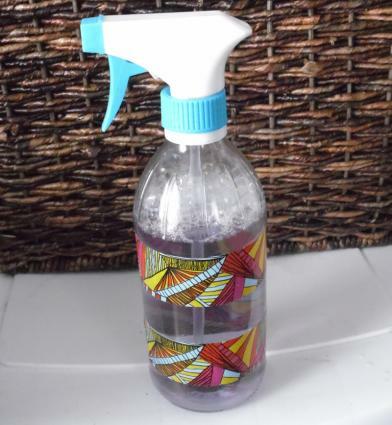 Replace the cap on the bottle with the spray top from your Windex bottle. Use the washi tape to make patterned rings around the bottom of the spray bottle. You can use just one color of tape or mix and match several patterns. Open and fill the bottle with homemade cleaning solution, then replace the spray top. Plastic storage cabinets with drawers are very useful for organizing craft supplies and children's toys, but they're not very attractive on their own. Use washi tape and patterned paper to give your cabinet a bit of a facelift. Pull out the first drawer of your container. Apply a strip of washi tape along the outside bottom of the drawer, wrapping the tape edges along the sides of the container. Close the drawer. Repeat step one for each drawer. To obscure the contents of the drawer, cut a sheet of 12" x 12" scrapbook paper to fit the front of each drawer. Depending upon the size of your container, you may need to overlap the paper to fit. 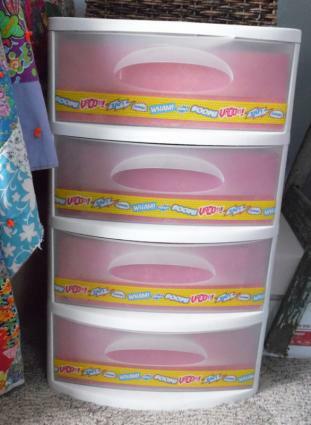 Use double-sided tape to secure each strip of patterned paper to the inside of each drawer. Inexpensive wooden picture frames decorated with acrylic craft paint and washi tape make easy handmade gifts for friends and family. Put your newspaper down to protect your work surface. 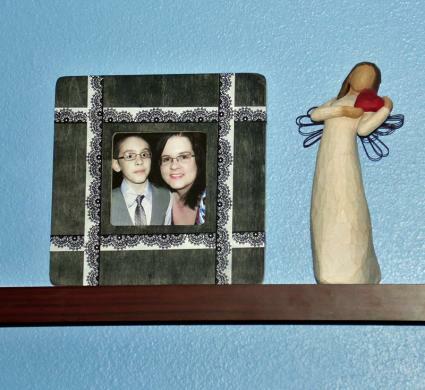 Use acrylic craft paint and your paintbrush to paint your wooden frame the desired color. When the frame is completely dry, throw away newspaper and add washi tape to the frame in any pattern you like. Card Making: Washi tape makes it easy to create your own homemade thank you cards. You can also use washi tape to decorate tea bag folding patterns. 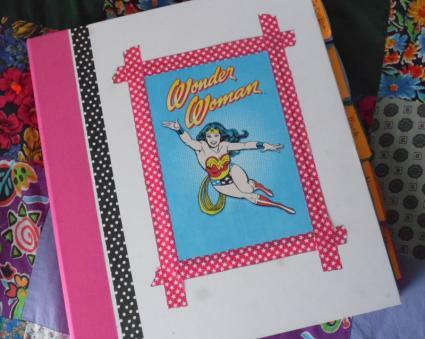 Scrapbooking: Use washi tape to create borders and frames in scrapbook or smash book pages. Origami: Use washi tape to embellish folded origami models, such as the paper turkey. Cupcake Toppers: Make your own cupcake toppers by wrapping strips of washi tape around toothpicks to create mini flags for each cupcake. Decorated School Supplies: Let your children make matching notebooks, binders, and folders by covering them in colorful washi tape. If they want supplies featuring a specific cartoon character, make your own by using washi tape to adhere postcards or other graphics to the front. Gifts in a Jar: If you're making gifts in a jar for the holidays, decorate the jars with washi tape for added visual appeal. Washi tape is relatively easy to remove and should not leave a sticky residue on most surfaces. However, if you're concerned about damaging a particular material if the tape needs to be removed, you should always run a test in a small corner before beginning your craft project.